Matthew Hart is the heir to Hart & Home Furniture he's had a good life raised by a loving and doting father after his mother passed away he grew up not wanting for material things or for love. Jax Foster was Matthew's friend and his first love until he disappeared without a word one day without so much as a by your leave for Matthew. Matthew was heartbroken...Jax had been his world...his best friend, his first love, everything a young man of 15 could have ever thought he'd want. When Matthew has an allergic reaction to peanut oil that lands him in the hospital...because his epi pen magically disappeared he takes stock of his life and realizes that he loves his friends, his dad, his job but it's not enough. He wants something more and that's when Matthew and his PA and good friend Adam make a list so that Adam can find him, his Mr. Right. It's when Adam gets a little help from Matthew's father that things really get out of hand because suddenly not only is Jax Foster back in town but when Matthew gets sent to meet with the contractor for a piece commissioned by one of Hart & Home's biggest clients the last thing Matthew expects is to come face to face with the person who broke his heart all those years ago. I enjoyed this story it was sweet and watching Matthew and Jax get reacquainted with each other as Matthew resist letting Jax explain what happened all those years ago that caused him to disappear...events that could repeat themselves thanks to meddling family on both sides...family who's intentions are less than honorable. I was a bit frustrated by Jax's father but in spite of that I loved that Jax stuck by his dad and continued to see the good in him. He wasn't a bad man more a case of a good man making bad choices and Jax was able to see this which also speaks to the type of person that Jax was. Unfortunately the same can't be said for Matthew's cousin and his biotch of a wife...like seriously somebody get that woman a Prozac or two...maybe some Zoloft? Because damn she's got issues...serious, issues. I really liked Matthew and Jax and as a couple they worked for me and while Matthew was initially resistant to resuming any kind of relationship with Jax I liked that it didn't become a drawn out and protracted state of affairs and we got to see Matthew and Jax re-ignite the love they had for each other a love that has stayed with both of them over the years just waiting for a chance to once again burn brightly. As much as I liked Matthew and Jax and as steamy hot as things were between them. What I'd really love would be Adam's story...well, actually I'd like to see a story about Adam and Rai. Adam is feisty and I'm pretty sure that Rai would make a good tree for him to climb. 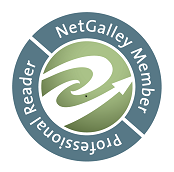 I'm a fan of Charlie Cochet's writing and Andrew McFerrin has done a wonderful job of bringing her words to life and giving voice to these characters. 'Finding Mr. Wrong' was a fun, short, low angst story about first loves, second chances and happily ever afters. 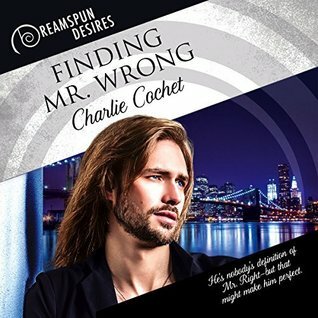 An audio book of 'Finding Mr. Wrong' was graciously provided by the publisher in exchange for an honest review.